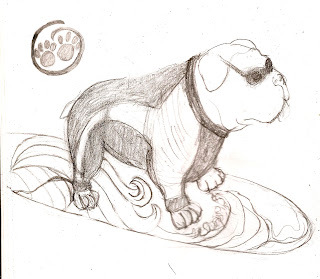 This is what the surfer dog will look like, depending on how the surfboard actually looks. The paw print design will be placed on the back of his wetsuit. Hope he looks like a dude.